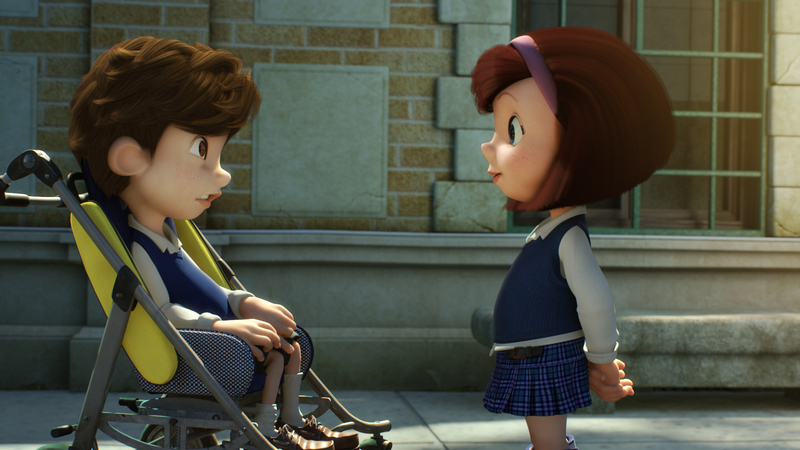 María’s routine at school is altered by the arrival of a very special child. Soon, they become close friends. The rating of "Cuerdas" is for all ages and special interest to children. The Spanish Ministry of Culture has recommended "Cuerdas" for its educational vocation. Audience Choice Award for "Best International Short"
Audience Choice Award for "Best Animation"
award provided by the Cinit "ITALYn Cineforum"
Premio para el Desarrollo de la Democracia y los Derechos Humanos, otorgado por la OSCE. Premio del Público a " Mejor cortometraje"
FICH Festival Internacional de Hermosillo. Accolade Global Film Competition Award! XIX festival de cortos "Villa de Errentería"
III Festival "Me quedo corto"
Premio Javier Santos a la mejor banda sonora. the most widely utilized format by US Exhibitors.